Azerbaijan Stick Flag (Orange Middle Stripe) - 4x6"
The modern flag of Azerbaijan is almost one century old, but it has not been in use for all of that time. It was first adopted to represent the nation of Azerbaijan when it first gained its independence following the first world war, but it fell out of use when a socialist government took power in the country. The socialist government eventually left power, and the old Azerbaijan flag returned to official use at the same time. Azerbaijan, officially the Republic of Azerbaijan, is the largest and most populous country in the South Caucasus, located partially in Eastern Europe and partially in Western Asia. 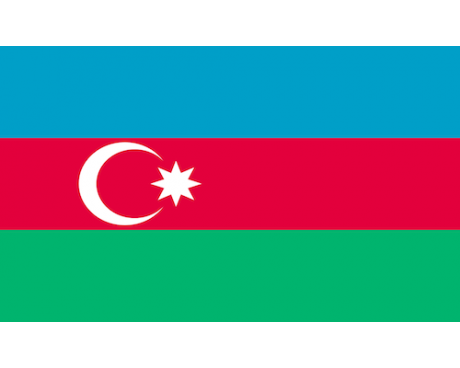 The flag of Azerbaijan consists of three equal horizontal bands, from top: blue, red, and green; a white crescent and an eight-pointed star are centered in the red band. 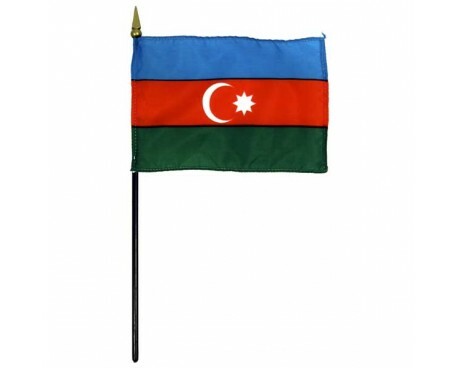 The flag of Azerbaijan is a horizontal tricolor of blue, red, and green. A white star and crescent emblem occupies the center of the red band. 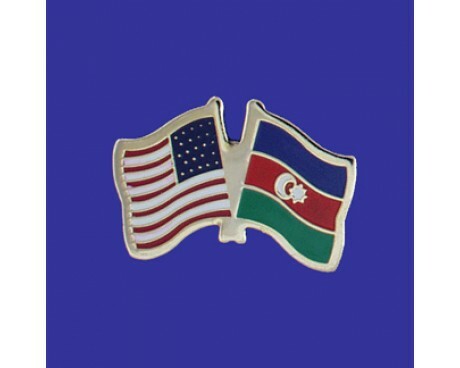 The star and crescent reflect the country's Islamic heritage, as does the green band at the bottom of the flag. The blue band represents the nation's ethnic heritage among the Turkic people rather than its religious heritage, while the red band is a symbol of progress. The Azerbaijan flag was designed by Ali bey Huseynzade to represent the country when it gained its independence in 1918. The flag was only used for two years before a socialist government took power in Azerbaijan and formed the Azerbaijan Soviet Socialist Republic, which represented itself with a new flag. Azerbaijan had many different flags over the course of its time as a Soviet Socialist Republic, but all of them followed the same general pattern. They combined a solid red field with a golden emblem in the canton and a representation of the republic's name. Soviet flags officially represented the nation until 1991, but the old flag was used by those who opposed the nation's government. Lone protesters occasionally flew the flag on special occasions in foreign countries throughout the 20th century, but opposition to the government grew and the flag became more common last quarter of that century. A new government took power in 1991, and old flag's role in the protests made it a natural choice to represent the new government. 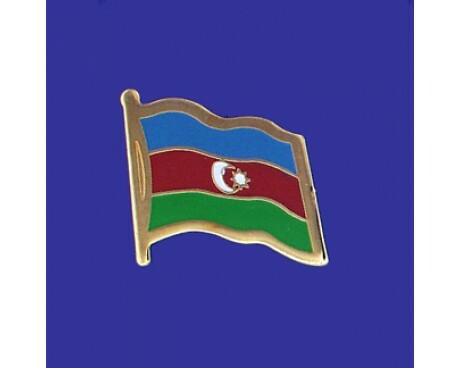 The flag's design and its official status were confirmed in the new constitution of Azerbaijan, and it has represented the country ever since that constitution was adopted.